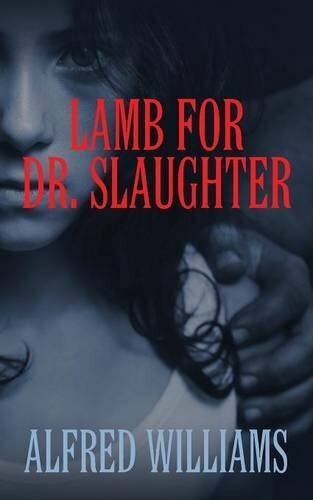 “Lamb For Dr. Slaughter” by Alfred Williams begins when a small jet crashes on the bay in Canada. Only two survivors are found. One of the survivors was identified as Dr. Slaughter, an old man who, once treated at the ER for spinal and head injuries, was diagnosed with being paralyzed and had amnesia. The other survivor was a girl who remained in a coma. Doctors at the ER noticed that the girl was filled with surgical wounds, which were affected by what seemed to be foreign objects in her body. This would be the beginning of Yolanda’s journey to freedom as she recovers from her ordeal and tries to put an end to the human trafficking crime organization that kidnapped her. I have mixed feelings about this book. I found that the story line was promising and was actually very happy to begin reading as the cover of the book and the title hooked me. However, this book read like an unedited manuscript. The errors in it were not only frequent grammar flaws, which would have been more than enough to turn me off, there were also inconsistencies with the story, confusion with names, and other similar errors that made it almost impossible to follow the story. It was a small book, so I read until the end, but the errors made reading it so difficult that I was tempted to just put it down before finishing. "Lamb For Dr. Slaughter" by Alfred Williams has a promising storyline, which deserves to be edited, re-written, and republished to comply with publishing standards.